Care2 Causes | Why is a British MP Blocking an Anti-Female Genital Mutilation Bill? Why is a British MP Blocking an Anti-Female Genital Mutilation Bill? 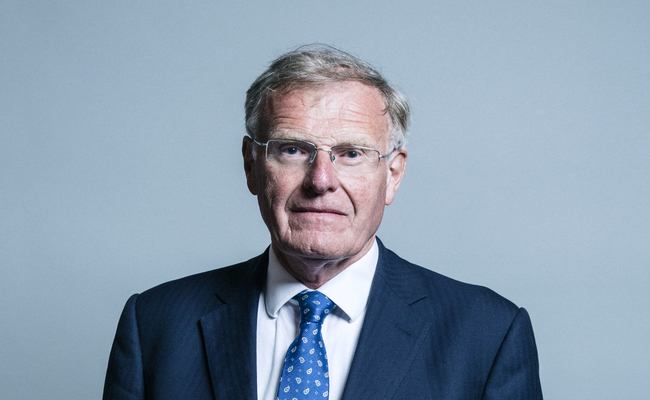 Sir Christopher Chope, a conservative British MP, has been called an “embarrassment to [his] party and humanity” after blocking a bill to protect children from female genital mutilation (FGM). The 71-year-old MP’s objection was met with an audible groan from his peers. According to parliamentary procedure, a bill can be blocked if even one MP objects, a rule which Chope has a reputation for taking advantage of when laws regarding women and girls (and human decency) are on the table. This marks the second time Chope has blocked anti-FGM legislation. The bill would have allowed courts to issue a protection order if they believe a child is at risk of FGM. Chope claims to object to all private member bills—bills which are introduced by an MP and not part of the government’s plan—on principal. Yet he did not object to a private member bill brought forward by his own party and brought before parliament the same day as the FGM legislation. In fact, in the last year Chope has sponsored 31 such bills himself. His principle seems rather less to do with the scrutiny a private member bill receives and more to do with blocking progress and protections for women, girls, marginalized groups and animals. In 2018, he blocked legislation which would have made upskirting illegal. Fortunately, the bill passed recently despite his efforts. He also blocked a proposal to celebrate the one hundredth anniversary of women’s suffrage with a conference in parliament. A few years earlier, in 2014, he voted against the Equal Pay (Transparency) Act, which would have required companies with more than 250 employees to disclose their gender pay gaps. The year before that, he objected to a bill which would have pardoned Alan Turing, a World War II codebreaker who was prosecuted for homosexuality. Many reactions to Chope’s objection, even from his own party, were filled with disgust. “As anticipated, Chope objected to the FGM Bill. Just appalling,” said Chope’s fellow Tory, MP Zac Coldsmith. Nimco Ali, anti-FGM activist and co-founder of Daughters of Eve, had begged Chope not to block the bill. If Christopher Chope objects to FGM being included in the Children’s Act today, I hope his knighthood and Whip are removed. A week to date we convicted someone of #FGM he wants to play politics with girls lives. I begged him last night and this is what I got from him. Ali uploaded screenshots of her text conversation with Chope to Twitter. Chope argued that the bill should be “fully debated” in parliament. Members of Chope’s own party had encouraged Ali to contact him directly and ask him not to block the bill. She resorted to text message when several attempts at calling Chope were unsuccessful. Yes, Peggy B. You're right. Hope the constituents don't vote for him in the next election. Something is very wrong with him. This man is an IDIOT ! who the hell has voted him in. He is most definately past it! this is the ignorant person who stopped all the animals in circus bans going through! as well as this appalling practice. what a stupid system. We can only hope this will be remembered when he's up for re-election. Let's hope his political career will soon be over! Phillip, I don't know quite what chope the dope means, but I have a feeling it fits this situation.